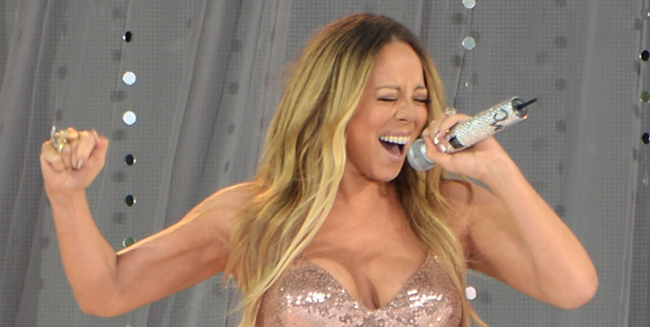 Mariah Carey struggled vocally as she opened her ‘Elusive Chanteuse’ Show in Tokyo, Japan on Saturday, Oct. 4. See the highlights of the horrendous performances below. The first leg of the tour starts in Asia and ends in Australia in November. And this is her first world tour since 2006. ‘Me. I Am Mariah…The Elusive Chanteuse’ is the singer’s 14th and latest studio album, debuted in the U.S. at third spot with 58,000 sales.